Porcelain veneers have myriad applications in San Diego cosmetic smile dentistry. With veneers, you can transform your smile without significant restorative dental work. Is your tooth enamel worn and thin? Tooth-colored porcelain veneers have the translucency of healthy tooth enamel. Many San Diego dental clients have received porcelain veneers to cover worn enamel. Some believe they look twenty years younger! Have your teeth developed uneven edges? Tooth grinding, natural wear and other factors can roughen tooth edges. Porcelain veneers are a minimally invasive correction for uneven tooth edges. Porcelain veneers are a popular treatment for cosmetic dentistry patients. Do you have chips or cracks in your teeth? If your teeth are otherwise healthy, porcelain veneers provide a flawless tooth surface. Are your teeth yellow or gray? Porcelain veneers can fix that, too. Porcelain veneers can be fabricated in any shade to perk up your smile while still blending naturally with your skin tones. Porcelain veneers are paper-thin, tooth-shaped covers that are affixed to the front of teeth. 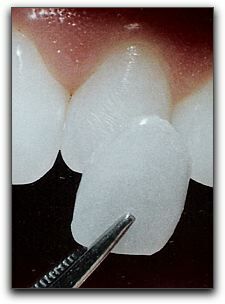 Traditional porcelain veneers required the removal of a thin layer of tooth structure. Porcelain veneers are strong, natural looking and one of the most affordable cosmetic dentistry procedures in the Mission Hills, Mission Valley and Bankers Hill areas. Porcelain veneers are usually far less expensive than complete dental crowns, yet they are just as strong and beautiful. San Diego cosmetic dentists love porcelain veneers because they correct a multitude of tooth problems. At Marcos Ortega DDS, we would be happy to show you what veneers can do for you. Marcos Ortega DDS is located at 306 Walnut Ave., Suite 25 in San Diego. We provide premium dental care for many of your friends and neighbors in the greater San Diego area. Our phone number is 619-295-4545. You can visit https://www.mysandiegosmiles.com/doctors.htm for information about our very comfortable and friendly team and the types of services we provide.